Winnicott’s description of "doing something else" or "working as a psychoanalyst" when not engaged in the actual analysis of his patients resonates with the child psychotherapist today. Individual psychotherapy is certainly a valuable part of the work but much of the time the CPT is "doing something appropriate to the occasion". 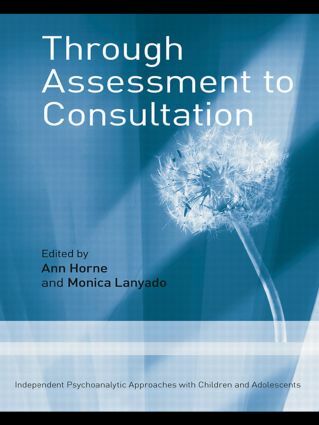 Some of this time is spent in assessment work – for therapy, for the multi-professional team and for other agencies – and some in consultation to colleagues and other professional staff or in a combination of the two. This book will help both new and experienced Child and Adolescent Psychotherapists re-examine their role and function in the team and in the outside world, and will also be of interest to specialist health workers, educational psychologists and those wanting to explore more Winnicottian approaches to therapeutic work.